Born on March 13, 1985, Emile Hirsch grew up between Los Angeles and Santa Fe, NM, two worlds—one the center of the film industry and the other, a mountainous outpost—whose different perspectives would define his destiny. As an actor, he built a successful career working with some of the world’s finest directors, like Gus Van Sant and Ang Lee. As an artist, he’s explored the psyches of fascinating outsiders, often living on the edge. Still a young man, Hirsh has made an indelible mark on American cinema, especially with his two Focus films––Milk and Taking Woodstock. On his birthday, we celebrate his past, but are even more excited about what great performances he'll bring to us in the future. In 2008, Entertainment Weekly recognized his potential by adding him to their prestigious “30 Under 30” list, alongside other up-and-comers like Jake Gyllenhaal and Ryan Gosling. It was quite a tribute to the actor who first thought about his future career after watching Macaulay Culkin in the 1990 comedy Home Alone as a little boy. “I had the idea when I was like six and just kept on doing it,” he recounts to IndieWire. At age eight, Hirsch landed his first TV part in Kindred: The Embraced. And by 16, he was cast in his first feature film, Peter Care’s Sundance favorite, The Dangerous Lives of Altar Boys. Early on, Hirsch distinguished himself by playing complicated young men in emotionally complex films. “Mr. 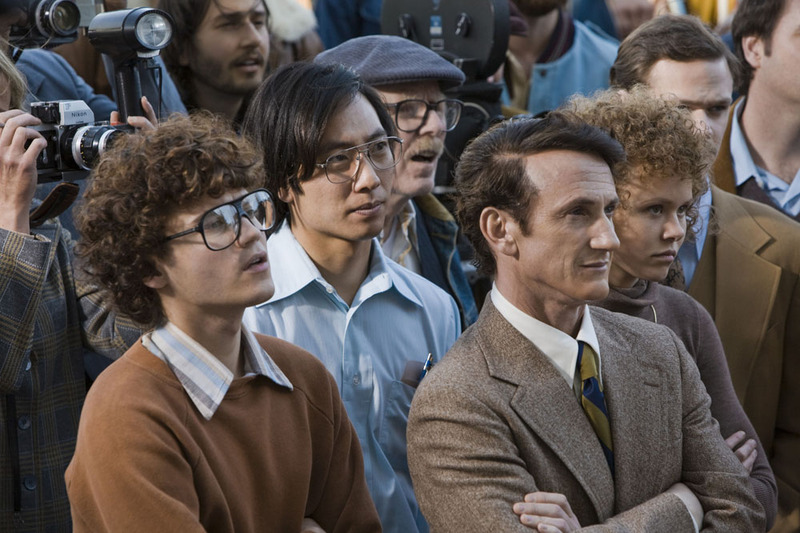 Hirsch does a wonderful job of conveying his character's inner struggle, especially his discomfort when entrusted with an explosive confidence whose ramifications are more than he can absorb,” writes The New York Time’s Stephen Holden about Hirsch playing a young Southern Catholic schoolboy growing up in the Seventies. Two years later, Hirsch proved equally appealing in a more conventional film, the teen Hollywood comedy, The Girl Next Door. For the most part, however, Hirsch gravitated towards smart, serious films––like Alpha Dog, Into the Wild, and Milk––that gave him the chance to hone his craft. Even in difficult times, Hirsch returns to his love of acting to sustain and renew him. Hirsch tells Indiewire that after one very bad year, “I really wanted to move forward… doing what I found value in, which was doing good work. It helped get some of my confidence back to see that, OK, this what I do — I’m an actor." Reviewing Taking Woodstock for the Denver Post, Lisa Kennedy writes, “Emile Hirsch once again shows why he is becoming a serious talent.” In Ang Lee’s fun film about the summer of peace, love, and music, Hirsch was tasked with playing Billy, a Vietnam vet suffering from PTSD. “It was a delicate balance,” explains Hirsch, “Ang kept saying, ‘It’s a comedy,’ but my character, Billy, had spent time in Vietnam and, in a certain sense, he is the least comedic character… [He’s] on a razor’s edge about what could be funny." To find that edge, Hirsch dove into the period, reviewing over 25 films about the war and the counterculture. In addition, he spent time with actual vets, some, as he told Collider, who worked on the film. His nuanced performance of Billy showcases Hirsch's penchant for exploring engrossing, edgy characters. Another example of this quality can be seen in Catherine Hardwicke’s skater film, Lords of Dogtown, in which Hirsch is “particularly memorable,” according to the San Francisco Chronicle, “as the skater who acts the craziest but is also the most loyal to the unwritten Z-Boy rules.” And in Oliver Stone’s brutal Savages, Hirsch plays it fast and dangerous laundering money for a Southern California drug ring challenging the Mexican cartels. Before Sean Penn cast Hirsch as the lead actor for Into the Wild, he spent four months getting to know the young man himself. “I knew it would be a very rare 21-year-old who could come into the monastic life that was gonna be necessary in so many ways,” Penn told the San Francisco Chronicle. Hirsch proved not only up for the film's grueling endurance course of climbing mountains and running river rapids, but brought his heart and soul to the character. Driven like his character, Hirsch pushes himself with each new role and challenge. In 2013, he even took himself to the limits of endurance when he climbed Mount Kilimanjaro as part of the charity drive, Summit to the Summit, to bring global attention to the need for clean drinking water in Africa. FilmInFocus' Nick Dawson delves into what happened to the real life characters behind the Woodstock after the festival ended. Foreword from "Taking Woodstock: The Shooting Script"
In an exclusive extract, FilmInFocus runs director Ang Lee's foreword to "Taking Woodstock: The Shooting Script," forthcoming from Newmarket Books in August. Introduction from "Taking Woodstock: The Shooting Script"
In adapting Elliot Tiber's memoir for the screen, writer James Schamus first had to figure out where "Woodstock" actually exists.